FBI Director James Comey recently warned that we should all place tape over our webcams. ‘OverSight’ takes a different approach. Instead of requiring you cover your webcam, it’ll notify you anytime someone attempts to access it, or your computer’s microphone. 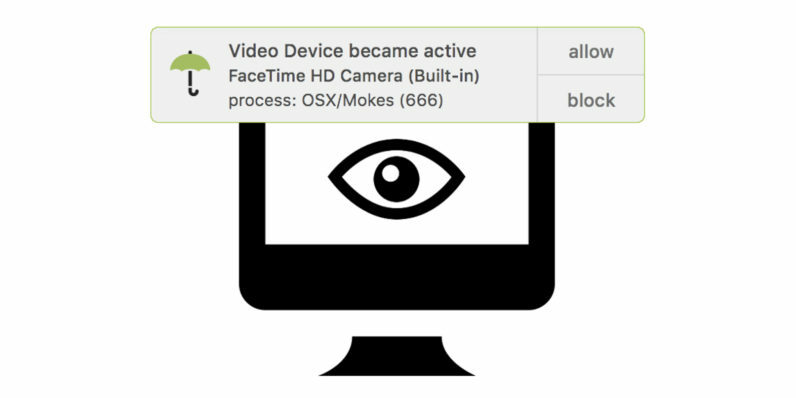 It continually monitors your system looking for malware, such as OSX/Eleanor, OSX/Crisis, and OSX/Mokes, as well as others that attempt to spy on macOS users, according to the website. If detects an intrusion, you’ll get a pop-up notification to alert you. The Mac-only app was created by former NSA staffer Patrick Wardle, and released for free today. It’s currently available on the website. For its part, OverSight seems confident in its application, but still warns that ‘proactive attempts to specifically bypass OverSight’s protections will likely succeed.’ Put simply, if someone wants in bad enough, they’re probably going to be able to bypass OverSight’s security. For your typical script kiddie, however, OverSight is an additional layer of security that is both free, and useful. But maybe you’ll want to hold on to that tape, just in case.